Whenever I am in San Diego, I make sure I take a trip to Old Town where you can find historical sites, shopping, souvenirs, events, and tons of eateries. Killing some time and playing tourist one day a couple years ago, I discovered an authentic Mexican restaurant that was hands down one of the best Mexican restaurants I’ve ever been to called Old Town Mexican Cafe. 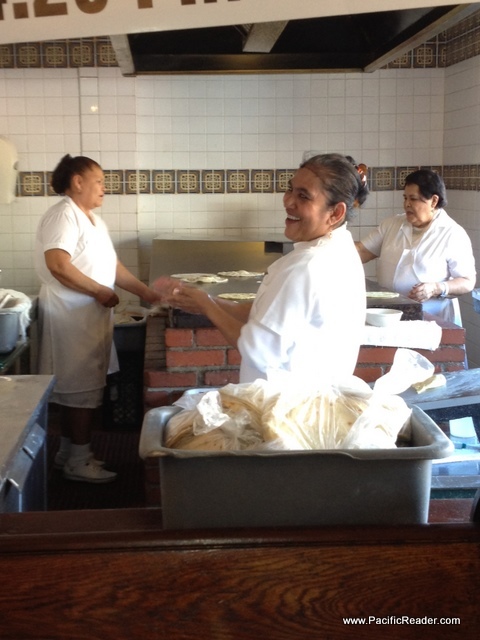 Located in the heart of Old Town on 2489 San Diego Avenue, what caught my attention was the tortilla makers in the window. The first time I ate there I really can’t remember what I ate because what didn’t I eat? And I had to be rolled out of there after eating about 10 homemade tortillas on top of my regular lunch! 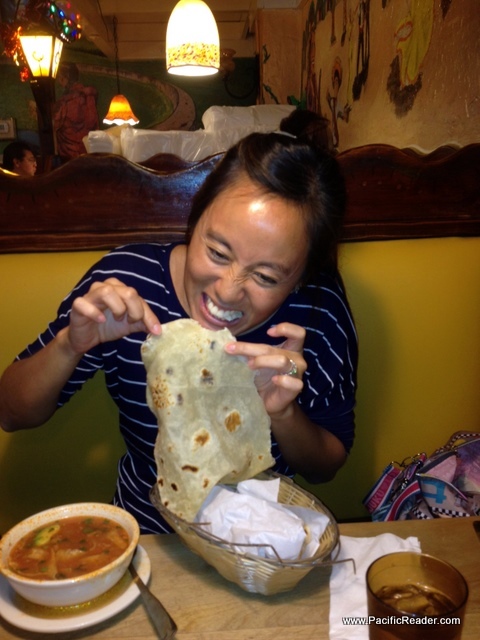 The tortillas here are to die for. Corn or flour, they are made fresh out front and have the wonderful freshly made chewiness that I love in my tortillas. Tortillas come upon request with any meal. So far everything I’ve tasted at Old Town Mexican Cafe is DE-lious!! 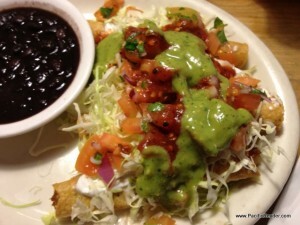 Crispy tacos, potato taquitos, guacamole sauce, enchiladas with mole sauce, chips and salsa, and don’t even get me started on the TORTILLA SOUP!! For my readers who have had authentic tortilla soup (not the kind from California Pizza Kitchen), this place makes the real deal! The soup broth is made with crispy bacon, YES BACON, and makes the soup on the smoky side with little bits of crispiness to enjoy through out. 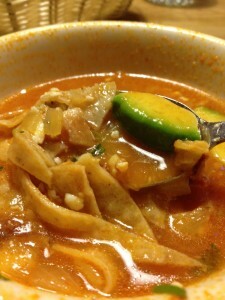 This is probably the best tortilla soup I have ever had anywhere! The broth is savory and almost addictive. It was also served with avocado, chicken, and crunchy tortilla strips. 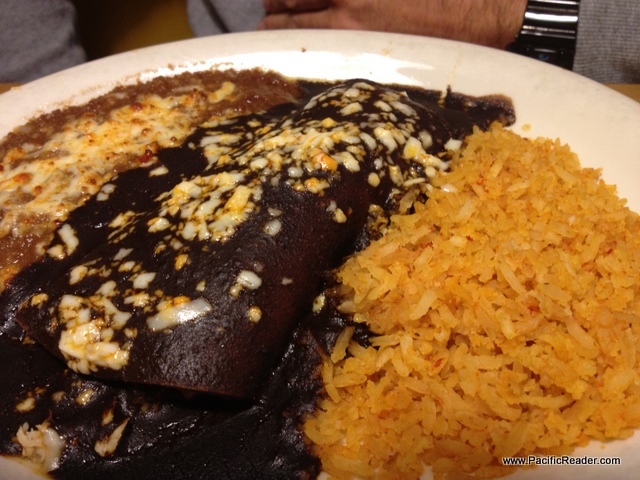 If you’re ever in San Diego and want some of the best Mexican food of your life (aside from being in Mexico), you must make a trip to Old Town and hit up Old Town Mexican Cafe. Bring your appetite and maybe even wear your elastic pants! Filed Under: Pacific Reader's Favorite Things, The U.S. of A.